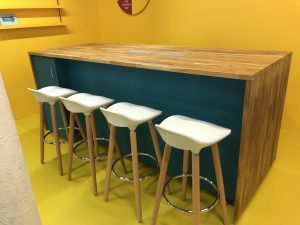 The pop-up shop also required a working space which we equipped with in-built charging stations. 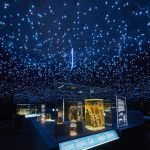 Summer 2018 we completed build of Life in the Dark at the Natural History Museum. The exhibition was a complex build which included a large bio-luminescent interactive. We created multiple sections mimicking natural surroundings such as, a cave ceiling, wooded area and of course, the deep sea. All exhibition showcases were from existing NHM stock. 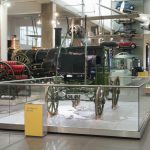 We’ve recently been working at the Science Museum installing a display plinth for this beautifully crafted 19th Century Brougham Carriage. 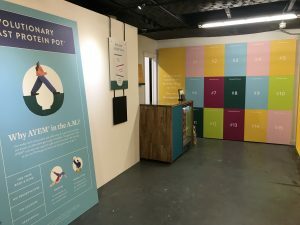 The plinth is fully modular, has a lockable entrance and glazed panels which can be removed to utilise with different exhibits. 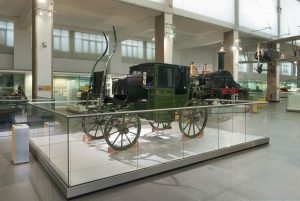 The carriage was designed for and made popular by Henry Brougham, Lord Chancellor of Great Britain 1830-1834 and political activist for education and legal reform and the abolition of slavery. Lord Brougham was also a co-founder and prolific contributor to the Edinburgh Review, one of the most influential publications of the 19th century, covering topics from Science to poetry. The Brougham carriage and the Clarence, developed from it, were the most popular type of closed carriage built. They influenced the design of other carriage styles throughout the rest of the 19th century and even cars into the 20th century. 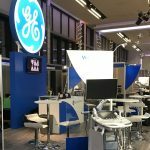 Another GE project, this with a newly commissioned bespoke double sided lightbox of their logo. This also marked the first time we employed smoothie machine and operators for stand giveaways. 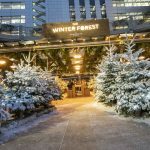 Qwerk were involved in the build and installation of Winter Forest at Broadgate Circle, open from November until Christmas. 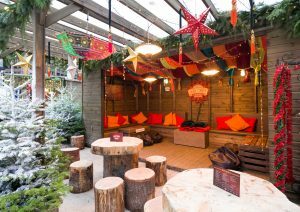 This comprised of a pop-up 12m x 12m outdoor structure, including a full bar with two sheltered pergola extensions for seating. Installing the 250 Christmas trees really got us in the spirit! Working with the delightful, Studio Able. 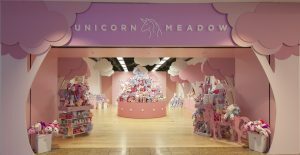 Unicorns have arrived at Meadowhall! We recently completed a pop up store running until the end of December at Meadowhall Shopping Centre. You might be able to spot our CNC cut 3D unicorn as you enter the meadow, finished all in soft pinks. 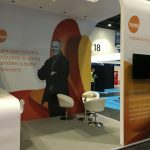 Qwerk recently visited Accountex with NEST for the second year. 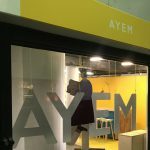 The stand has versatility to be open on one or two sides and also 4m x 3m or 3m x 3m. 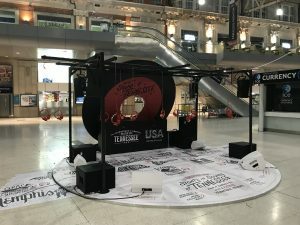 An inviting exhibit at Waterloo station to interest UK travellers in the appealing sounds of Tennessee. 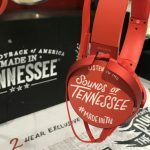 It follows British Airways’ introduction of a five-days-per-week nonstop service from Heathrow to Nashville, the capital city and centre to Tennessee. Each set of headphones plays a different soundtrack relating to the corresponding floor map. The stand has also been utilised for live music, showcasing the newest sounds in Americana to brighten up your commute! 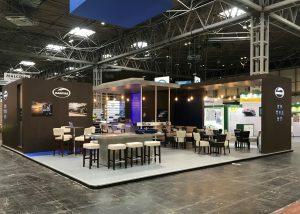 We returned to Multimodal for the third year with Maritime Transport. 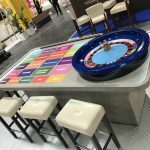 Adapting the stand build from a previous year, we made a large meeting area for privacy as well as a new roulette table featuring current depots. 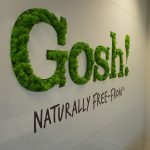 Featuring the core brand Gosh!, Qwerk were invited to refurbish areas within the head office. 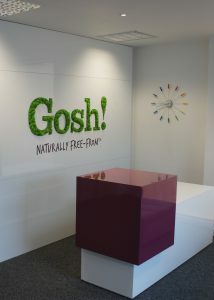 A new reception desk and back wall were designed to incorporate an integral “living” logo. 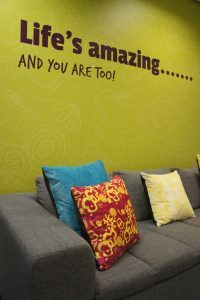 Wall graphics and product displays were then introduced into the main boardroom and visitor area.